Dr. Ritika Merai is a Doctor of Chiropractic. She holds a doctorate degree in Chiropractic and a Masters in Applied Clinical Nutrition. She attended Caldwell University and New York Chiropractic College. Dr. Merai has taken many post- graduate courses in Spinal Rehabilitation. 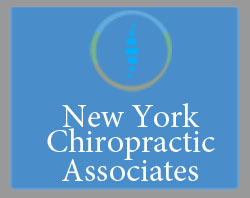 Dr. Merai is a covering Associate Doctor of Chiropractic at New York Chiropractic Associates. She specializes working with complicated pregnancies utilizing the Webster Technic a specialty within Chiropractic Spinal Care. She has been in practice previously at North Pointe Integrated Wellness, Monroe Community Hospital and The Rochester Veteran’s Hospital. Dr. Merai's past and present affiliations include International Chiropractic Pediatric Association, American Chiropractic Association, National Board of Chiropractic Examiners and Certification in CPR and Emergency Cardiac Care. Dr. Merai is originally a Westchester native. During her free time she likes to be outdoors with her dog, cooking, and painting.